+++Note from the authors: The bulk of research for this investigative report was conducted from December 2013 to April of 2014. New alliances/affiliations/stats that have since materialized may or may not be reflected at this time. The United Nations Economic Commission for Latin America and the Caribbean (ECLAC) has highlighted a slowing of progress in poverty reduction in Latin America, citing “rising food costs and weaker economic growth” as contributing factors. UN economists based in Santiago reported that 164 million people, or 28% of the region’s population, are still considered poor. That is nearly unchanged from 2012. Of those, 68 million of them are in extreme poverty – a poverty that most Americans cannot even begin to fathom. Yet there are bright spots. ECLAC’s “Social Panorama of Latin America” report (March 2014) notes that Venezuela and Ecuador led the region in decreasing poverty in 2012. The largest drop was in the Bolivarian Republic of Venezuela, where poverty fell by 5.6% (from 29.5% to 23.9%) and extreme poverty by 2.0% (from 11.7% to 9.7%). In Ecuador, poverty was down by 3.1% (from 35.3% to 32.2%). Yes – they are extracting oil. (Ecuador relies on oil for a third of its national budget.) Just like the Harper Government, the Obama Government and most all other states that are able. Of course, the words militarism, imperialism and colonialism are not in the NGO dictionary. Nor is the word capitalism. We need to keep reminding ourselves that it is the wealthy that created the climate crisis. It is the wealthy that perpetuate and propel the fossil fuel production/extraction economy. Per capita (per person) emissions: Ecuador: 2.2 tonnes CO2 emissions per capita | Bolivia: 1.15 tonnes CO2 of emissions per capita | Venezuela: 6.30 tonnes CO2 emissions per capita | United States: 19.22 tonnes CO2 emissions per capita | Canada 16.60 tonnes CO2 emissions per capita | Congo: 0.3 tonnes CO2 emissions per capita. As a further example, ALBA delivered relief aid for Syrian refugees in Lebanon (video below published on September 19, 2013), while Imperial states continue to destabilize the Middle East. On April 19-22, 2010, following the failure of COP15 (where vulnerable states were grossly undermined), the State of Bolivia hosted The World People’s Conference on Climate Change and the Rights of Mother Earth. 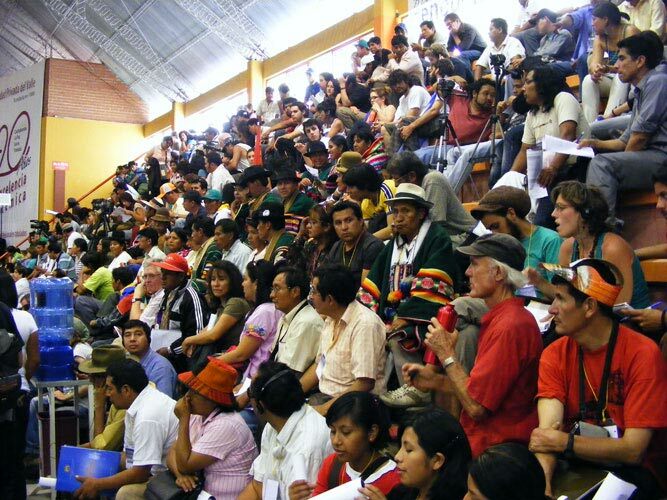 A global gathering of civil society and governments gathered in Tiquipaya, just outside the city of Cochabamba. “Particularly notable was the large number of Indigenous people from throughout South and North America, who played leading roles in defining the meeting’s environmental philosophy and drawing up a program for action. Morales urged the delegates to commit to learn and benefit from the wisdom of the world’s indigenous peoples.” [Source] Working Groups included a Universal Declaration on the Rights of Mother Earth, a World People’s Referendum on Climate Change, and the establishment of a Climate Justice Tribunal. Two primary revolutionary declarations were achieved: The People‘s Agreement and the Universal Declaration of the Rights of Mother Earth. The People’s Agreement was and remains the only democratically written climate agreement that actually could have addressed the magnitude and scale of our multiple ecological crises. Further, it came to be recognized by the United Nations, due in large part to the tenacity of a single person on behalf of a single state, Ambassador of the Plurinational State of Bolivia to the United Nations, Pablo Solón (from February 2009 to July 2011.) Today, somewhat ironically, Solón is the Executive Director of the NGO Focus on the Global South. October 10, 2010 – Tianjin, China: “The proposals of the World People’s Conference on Climate Change and the Rights of Mother Earth have been maintained and expanded upon in the new negotiating text on climate change that emerged from the last round of negotiations in Tianjin, China. Throughout the process in Tianjin, attempts were made to substitute the negotiating text, which contains the positions of all countries, with a text that would be limited to recognizing the principal elements of consensus for Cancun. Reduce emissions by more than 50% for 2017. Full respect for human rights and the rights of indigenous peoples and climate migrants. Formation of an International Climate Justice Tribunal. 6% of GDP in developed countries to finance climate change actions in developing countries. Lifting of barriers to intellectual property that facilitates technology transfer. By the following year, although key issues of the People’s Agreement were presented in the Durban negotiation text, (again due only to the work by the Ambassador of the Plurinational State of Bolivia to the United Nations), [Dec 7, 2011] the People’s Agreement, more and more was quietly being marginalized and buried by even the more legitimate climate justice groups. After Durban, the People’s Agreement was displaced, in its entirety, by a gentle call for the Universal Declaration on the Rights of Mother Earth. Almost immediately following the success of the 2010 World People’s Conference on Climate Change and the Rights of Mother Earth of, a new alliance was created named the Global Alliance for Rights of Nature, which created/assigned an executive committee. “Their intention was to explore ways to expand the concept of Rights of Nature as an idea whose time has come.” [Source] This campaign is also referred to at times as The Rights of Mother Earth campaign. A key founding partner was the heavily funded U.S. NGO, the Pachamama Alliance. Thus, the ground-breaking declarations (The World People’s Conference on Climate Change and the Rights of Mother Earth of April 2010) were lifted out of the hands of the people – back into the hands of U.S. foundation management/ control. The website for the Global Alliance for the Rights of Nature (created on September 6, 2010) is registered to Thomas Linzey, founder of CELDF and advisor to the New Earth Foundation. On the CELDF website, one finds the World People’s Conference on Climate Change and Mother Earth Rights – CELDF Draft Rights of Nature Ordinance, dated April 15, 2010. In the December 2010 publication of the Community Environmental Legal Defense Fund, it is reported, “In August of this year, the Legal Defense Fund co-convened an event hosted by Fundación Pachamama in rural Ecuador. Its purpose was to formalize an international organization which will advocate for legal frameworks that recognize legally enforceable rights for natural communities. The Legal Defense Fund was then selected as the organization which would provide drafting and campaign assistance to communities and nations following the lead of the over two dozen communities in the United States which have recognized rights for Nature, and the country of Ecuador, which has become the first country in the world to recognize natural rights within its constitution. It is of interest to note that the Pachamama Alliance and its “sister organization,” Fundación Pachamama, supported the inclusion of Rights of Nature in Ecuador’s Constitution, and also endorsed the call for a World Conference of the Peoples regarding Climate Change and Mother Earth Rights. Further, despite the REDD partnerships on behalf of Pachamama Alliance and Foundation, as referenced in documents, the Global Alliance for Rights of Nature (with Pachamama Alliance as founder) appears, on the surface, to be against any commodification of the commons. As an example: Tweet: “July 25, 2012: Rights of Nature – The Road to Rio+20 – http://t.co/vjyiVn7n. It is of further interest that prior to both the formation of the Global Alliance for Rights of Nature (August 2010) and the World People’s Conference (April 2010), the website Rights of Mother Earth was created on February 16, 2010. It is registered to Robin Milam, Administrative Director for the Global Alliance for the Rights of Nature and a Pachamama Alliance Journey Leader. Therefore, it is difficult to ascertain for what other reason Pachamama Alliance would co-found Global Alliance for Rights of Nature, other than to do what foundations do best: control, manage, shape and contain movements with revolutionary potential. Perhaps CELDF, in this case, is successfully contained for the most part, in a carefully supervised box – wondering why there is so little focus/awareness on this “movement.” One thing is certain – there is very little interest in promoting this campaign. 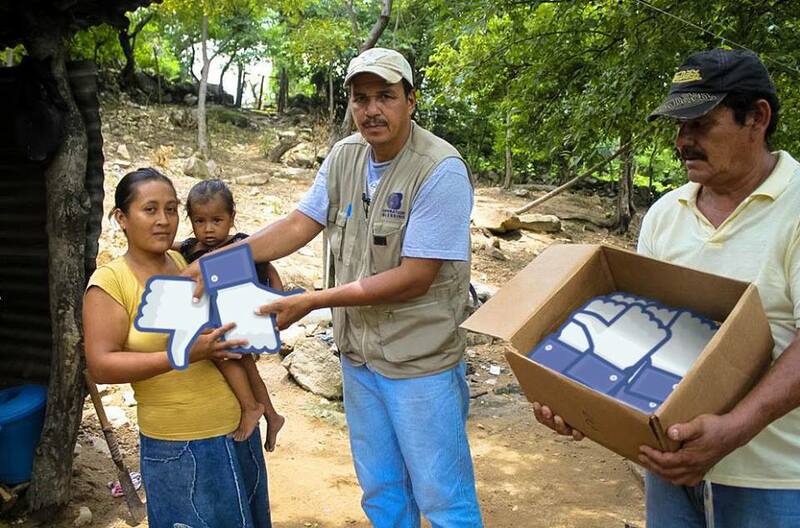 In the real world, “likes” and “shares” offer no reprieve whatsoever to our ongoing and accelerating ecological devastation/collapse. However, what is significant in Twitter/social media is who/what organizations are chosen by NGOs and paid “activists” to “follow.” This is especially significant in respect to the first Twitter accounts chosen (to follow) as these principal choices demonstrate clearly who and what ideologies they NGO/individual align themselves with. And although it is true that social media, despite the endless attention it receives, offers no stay of execution whatsoever to our ecological/climate crisis, in the world of the non-profit industrial complex, social media is of paramount importance – precisely because it has no true impact beyond 1) collecting intelligence (in all forms) for the world’s most powerful advertising moguls, corporations and the establishment, providing an unprecedented wealth of information that previously was difficult and costly to obtain, and 2) building brand recognition (thereby increasing foundation funding). Thus, to demonstrate how there is no serious effort to promote Rights of Nature, the following information speaks a thousand words. During 2013, this account was used for little more than one purpose: to promote “ecological tourism” via Pachamama “Journeys.“ [Rights of Nature – Amazon Rainforest Wisdom Immersion Journey Leader: Robin Milam… Cost: $3,475] As of December 19, 2013, one more tweet has been issued – a request for organizations to join Global Alliance for the Rights of Nature in requesting the re-opening of Fundación Pachamama. The address provided for the Global Alliance for the Rights of Nature is 2036 Nevada City Hwy #193 Grass Valley, California 95945. Researching this address also leads one to The Greater Grass Valley Chamber of Commerce (128 East Main Street, Grass Valley CA 95945). Robin Milam is listed as the webmaster. 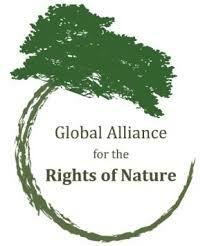 Her business is listed as One World Awake, which shares the Global Alliance for the Rights of Nature address. The hypocrisy is rich (literally). Pachamama Alliance chides the Ecuadorian Government for drilling oil in the Yasuni, all while their ecotourism boutique/niche – catering to the lifestyles of the rich – is absolutely dependent upon the expansion of fossil fuels. Travel expenses as reported on Pachamama’s Alliance’s 990 form accounted for over a cool half million in 2011 ($592,557). Here, the irreconcilability of preserving capitalism with preserving the planet cannot be overstated. When one observes the heavy hitters on the Runa Foundation Board of Advisors, it is certain that many are betting on this company being acquired by Pepsi or Coca-Cola in the not-so-distant future for the tune of hundreds of millions. Most recently Coca-Cola swallowed up the majority of “Innocent” Drinks for an estimated £100m. [“The three Cambridge graduates who launched Innocent Smoothies have sold the bulk of their remaining shares to Coca-Cola for an estimated £100m – 15 years after dreaming up the idea for the healthy drinks company on a snowboarding holiday.” Financial Times, February 22, 2013] The Runa Foundation Advisors include Yolanda Kakabadse, president of World Wildlife Fund (WWF) since 2010, Trustee of the Ford Foundation, President of International Union for Conservation of Nature (1996-2004); Ann Veneman, Executive Director of UNICEF (2005-2010, US Secretary of Agriculture (2001-2005), named 46th most powerful woman by Forbes in 2009; Doug Hattaway, president of Hattaway Communication since 2001, Senior Communications Adviser for Hilary Clinton (2008); Michael Conroy, Board Chair of Forest Stewardship Council since 2010, Board Chair of Fair Trade USA (2003-2010; Jacob Olander, Director of Forest Trends’ Incubator since 2008, Co-founder of EcoDecisión since 1995, Expert in conservation finance and payments for ecosystem services; Florencia Montagnini, professor of Tropical Forestry at Yale University since 2001, research advisor to the Smithsonian Institute’s PRORENA program since 2001, expert in tropical forestry and agroforesty systems. Yet this is not true. In reality, drawing more people into a suicidal system based on perpetual infinite growth is anything but sustainable. [“Never has failure been so ardently defended as success.” — Voltaire’s Bastards] Further, as this corporation grows (the sole purpose of the venture), the introduction of Western identities ensures the introduction of Western values into the Ecuadorian Amazon – ensuring the erosion of culture and identity. The erosion may be slow and subtle, yet it is inevitable, as Western culture has always ensured. To seek out Earth’s last remaining peoples who are the pure epitome of true sustainability, and then introduce them to capitalism and build a dependence upon the capitalist economic system under the guise of “local entrepreneurial spirit” is paternalism and exploitation at its best. Any venture that cannot sustain itself in a local economy, sustained by local resources, contributes to further annihilation of the planet, regardless of the sophisticated language/marketing that delivers nothing more than what we wish were true. 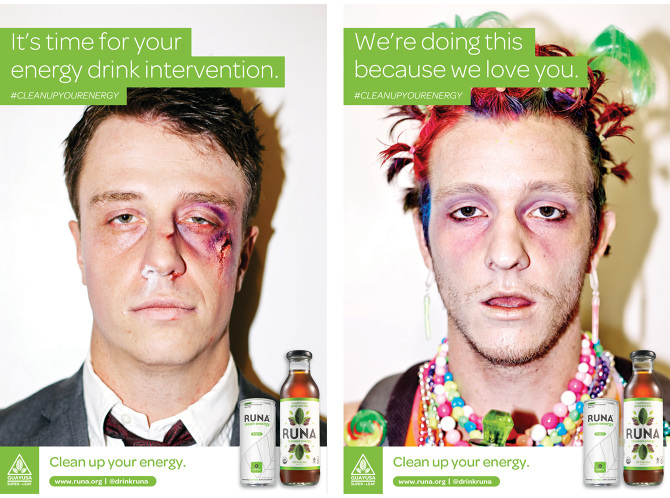 Runa founders Tyler Gage and Dan MacCombie met in an entrepreneurship class at Brown University. Together, they put together a business plan that would “turn Ecuador’s cultural heritage into an income generating opportunity for farming families.” They launched the business in December of 2009. Bear the farmers’ earnings (above) in mind when, in a nod to history continuing to repeat itself, Coca-Cola buys up the majority of Runa for a cool £100m or so in the not too distant future. Runa foundation advisor Yolanda Kakabadse, of WWF, just happens to also be a member of the Environmental Advisory Board of CocaCola. One NGO that was “very impressed” by the Runa model was Fundación Natura. As a result, an alliance was formed between them to develop an “agroforestry” project to “domesticate” the guayusa plant – a crop which has never been technically managed. Fundación Natura (Nature Foundation) is Ecuador’s first environmental NGO. Founded in 1978, Fundación Natura grew rapidly due to large USAID grants and money derived from debt-for-nature swaps engineered by WWF (Meyer 1993; Echavarria 2010). [Source] These swaps had an important effect: they contributed to shifting responsibility away from the government to private organizations by channelling funding via domestic (though foreign funded/controlled) NGOs rather than through the government agency in charge of managing protected areas. [Source: Globalization and Resistance: Transnational Dimensions of Social Movements, 2002] This strategy of foreign interests bypassing government is compelling considering the fact that USAID would like to see NGOs given legal recognition (further discussed in the final three paragraphs). The traditional Kichwa  farm in Ecuador is called a chakra. The chakra farming technique involves integrating food crops (or animals) into the trees of the forest. As an example, cacao trees are grown among other fruit trees and crops under the shade of a forest – simultaneously tending to the land for more than one purpose. Chakras have been farmed sustainably for centuries. The term “agroforestry” was coined in the mid-1970s as part of a research study led by John Bene of Canada’s International Development Research Centre. Agroforestry could be described as the West “modifying” / emulating the traditional chakra to accommodate their own worldview via a Euro-American lens. Agroforestry systems often involve clearing vital underbrush to plant new crops as well as the cutting of trees. Selected trees are then replanted to provide firewood, food, medicine, and other non-timber forest products (that will benefit the West) – such as Runa’s guayusa. We can also safely assume genetically engineered trees are part of many agroforestry projects. Indeed, the paper “Genetic Improvement of Agroforestry Trees” was presented at the 2014 IUFRO Forest Tree Breeding Conference in Prague, Czech Republic in August 2014. In 1991 it was noted that “the initial euphoria about agroforestry has died down…” but just two decades later with “climate wealth opportunities” abounding, the push for agroforestry is making a comeback. Agricultural schemes (with development programs/training provided by those in the West) are intended to “consolidate and replicate the production system of ancestral chakras, fish farming, sustainable tourism, safety and food sovereignty-oriented marketing.” [Source] But behind closed doors, it is without doubt the promise of the lucrative carbon market that has industry and the non-profit industrial complex salivating. Not surprising, the agroforestry model is anything but a perfect reproduction of the forest in its natural state. A study by Matthias De Beenhouwer, Raf Aerts and Olivier Honnay discloses that when a natural forest is converted into an agroforest, the total species richness declines by eleven percent. For forest species, the differences were larger, with a decline of 35% (natural forest to agroforest). Faring worse are the ecosystem services* (water filtration, nutrient rich soil, and other services that the forest ecosystems naturally provide). Management intensification decreased provision of ecosystem services by a strong decline of 37%. (*Note that the research of quantitative carbon sequestration was not included in this study under ecosystem services). The study is clear: anthropogenic disturbance jeopardizes the ability of tropical forests to sustain ecosystem services. The loss of species, in tandem with the decline of species richness and ecosystem services in a world of accelerating ecological collapse must be considered critical losses. It is reckless to market agroforests as intelligent/progressive substitutes for rainforests in their natural state. However, the NPIC, working hand-in-hand with foreign corporations such as Runa, use the above study to argue that even though agroforests incur critical and significant losses, and there is no replacement for a rainforest in its natural state, agroforestry is less damaging than plantation/monoculture agriculture. How kind of the empire, its banks and its tentacles (the non-profit industrial complex) to develop systems that are moderately less damaging than a full conversion to monoculture. Let us be clear: just as “less cancer” is still cancer, “less species loss” is still species loss, “less ecosystem damage” is still ecosystem damage. In less than one year during their first year of operations, Runa planted over 75,000 trees in more than 120 hectares of agroforesty plots. “Runa provides direct market access, agroforestry training, and holistic development services to Amazonian farming families.” One must seriously question what the white Euro-American could possibly offer to the Amazonians in regard to holistic development and growing food in their forests. To be clear, this leaf (the guayusa), rich in ethnic mystique, “packaged” with deep culture by the Indigenous people (to be branded/marketed to those in a commodity culture – devoid of meaning) IS the product. Yet, as sales increase (exponentially, which is the goal), the actual percentage of revenue to the farmers will decline. Of interest is Eliot Logan-Hines, listed as Co-Founder and Executive Director of Runa Foundation. Logan-Hines attended Yale School of Forestry and Environmental Studies. He went on to co-author Chapter 18 (REDD policy options: Including forests in an international climate change agreement) of the 2009 publication Forests and Carbon: A Synthesis of Science, Management, and Policy for Carbon Sequestration in Forests. Of course the future Guayusa plantations will be made to sound brimming with biodiversity with a focus on environmental stewardship. In some instances, perhaps they will be. Both credibility and legitimacy are always essential elements for all such altruistic business ventures. And in many instances, where the growth is not dependent upon the actual and visible destruction of the forest (such as logging), the preservation of biodiversity costs the investors nothing while increasing their legitimacy. One can argue that there must be increased farmer income, and with such “green” politically correct ventures as Runa’s, this can happen alongside the restoration of the Amazon. Yet, drunk on the idea of a “green economy,” there appears to be a collective amnesia in acknowledging that the sole reason the Amazon is being obliterated in the first place is due to the industrialized capitalist economy. We ignore Einstein’s common sense observation on what constitutes insanity: “doing the same thing over and over again and expecting different results.” Capitalism dictates that whatever must be done to ensure green – as in dollars, not planet – must be done. It is essential that poverty (created by the industrialized capitalist system) be alleviated and eradicated throughout Latin America. Unfortunately, Western industrial capitalists believe this massive undertaking can only be realized within the confines of an industrialized capitalist system, which depends on exploitation of the World’s most vulnerable, essentially making this daunting task impossible. True “philanthropy” would be an anonymous gift to communities to develop/create their own localized gift economies and co-operatives – entirely free of outside influence and “partnerships” – with absolutely nothing in return to the “philanthropist” nor his/her associated interests. This would be a true demonstration of sincerity in the long-awaited task “to break a long history of paternalism and exploitation that has negatively impacted these communities.” Of course, true autonomy for non-whites is of no interest to today’s “green” and “social” capitalists. “It’s more fulfilling, more sustainable, more exciting, and more participatory,” said the founders in regards to the company operating a triple bottom line. Yet, if there is any silver lining to be found in this latest version of “white saviours empowering Ecuadorean farmers,” it is this: Runa received a $500,000 (USD) equity investment from the CreEcuador Fund – an initiative of the current Ecuador government. “The Build Ecuador Fund (CreEcuador) plans to cash out its investments in Runa in roughly 6 years, in order to use its earnings to make additional investments in sustainable businesses. However, rather than selling shares to a private investor, the fund’s vision is to sell shares to Runa employees and the farmers. [Source: Social Enterprise in Emerging Market Countries: No Free Ride, 2013] Yet whether farmers will be able to afford these shares remains to be seen. Surely whites “teaching” Indigenous populations how to engage in internet “knowledge” as identified and deemed necessary by Western interests (in this image above, note the obvious emphasis on Facebook “education” by an unidentified NGO) is just another example of forcing our suicidal economy, hyper-individualized/commodity culture, and “democratic” “values” on others (who up to that point were fortunate enough to be relatively free of them). As parents, we cannot deny an intense anxiety that questions the psychological impact, effects, conditioning and behavioural change resulting from the consumption/addiction of FaceBook and other social media upon our children. The anxiety weighs heavy, like a rock, as we simultaneously deny and justify our own participation. And yet we raise no objection to those most exploited, most vulnerable, being subjugated as corporate fodder and prey. We close our eyes to the sacrifice – the voracious system must be fed. This is not to say that the protection of Indigenous rights in the Information Age and the right of Indigenous Peoples to access information and communication technology services and connectivity are not to be respected, Rather it is to challenge the fact that the dominant world view is deliberately constructed by Western ideology, which then is propagated via corporate mass-media echo chambers (internet, print, radio, television, film) – thereby framing, shaping and normalizing predetermined social and cultural concepts that constitute the status quo. Not only is the ingestion of controlled doctrine unhealthy, these ideologies/formal doctrines, conceptualized by the elites, serve to protect the interests of hegemony. And although we like to convince ourselves that internet technology has been a massive success, as we stand on the precipice of planetary collapse, one could quite easily argue that this “success” is illusory, and perhaps the truth is in stark contrast to what we would like to believe in more ways than one. In the lecture “The Limits of the Web in an Age of Communicative Capitalism,” Jodi Dean makes the sound argument that the web has formed part of a profoundly depoliticizing shift in capitalism, which has enabled the marriage of neoliberalism to the democratic values of participation and the reduction of politics to the registration of opinions and the transmission of feelings. Moreover, upon any formerly isolated person’s introduction to the web, having no prior scope or alternate influence outside of the non-profit trainee/volunteer from the West, how can one not be overwhelmed and ultimately absorbed by the elites’ dominant cultural hegemony? Aside from paternalism and colonialism, this also constitutes a rabid academic imperialism. 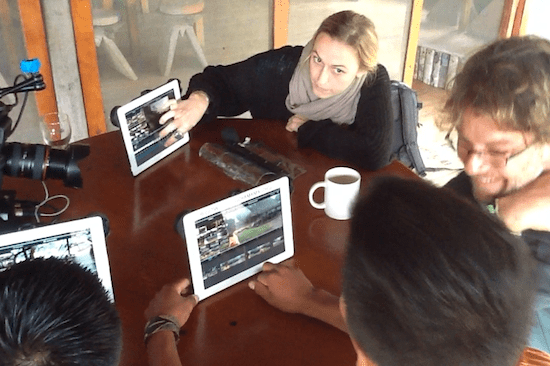 Image: Pachamama website: “iPads Offer a Link for Far-flung Communities” – Westernized education, religion, business values and technology, built upon Western ideologies, globalization and capitalism, continue to penetrate and expand throughout the Achuar communities. CEKSA is the corporation that manages the award-winning Kapawi Ecolodge. Aerotsentsak is the only Achuar-owned airline flying to Achuar territory. It is critical to question the wisdom (and perhaps also the sincerity) of creating an industry that is completely dependent on fossil fuels – and the capitalist system itself (a system dependent upon infinite growth where violence upon Earth’s most vulnerable peoples and life forms is inherently built into the system) – and then calling it sustainable. Not to mention, it’s an industry that rather than catering to the needs of a localized economy and her people, is dependent upon the 1% percent of the world who created/create 50% of all global greenhouse gas emissions. In 2007, the partnership between Makusar, Fundación Pachamama, TrekEcuador, and Mentefactura presented a successful project profile to the Interamerican Development Bank (IADB).) In May 2010 the Tiinkias Ecotourism Center (TEC) received its first visitors group: a 16-member tour from The Pachamama Alliance, in what could be considered a scouting trip to an eco camp that was still missing several components and finishing touches. In January 2011 the TEC started welcoming periodic groups, and received about 100 visitors, which more than doubled in 2012 and is slowly and steadily growing. The TEC also started combining its adventures with visits to Kapawi Ecolodge. Yet, vital critique regarding the underlying ethnocentric and capitalist standards for initiating, managing and evaluating such “sustainable” developments appears to be of little to no interest – to anyone. Like the warm golden sun, beautiful and intoxicating as it shines upon our skin, collectively we bask in the lies that allow us to continue insanity without reflection – uninterrupted. The embraced ignorance, like the warmth of the sun, is luxurious. Dialogue about the inevitable consequences of neoliberal and capitalist ideologies that are being woven strategically into the fabric of Indigenous communities is, almost without exception, deliberately evaded. Rather, the Indigenous communities are presented to the world as the latest beneficiaries of Western development. The West is viewed as the generous white saviour, which by default, assigns the Indigenous peoples (again) to the role of passive “objects” to be saved. To avoid the label of modern-day, full-blown colonists, foundations (via NGOs) and private institutions created the ultimate altruistic image by offering engagement and even full partnerships to selected communities. This would lend much legitimacy to those who deserved none. Not of interest is the fact that evaluations of management and “success” would/will be observed through, almost exclusively, the eyes of the Euro-American. Zoning, consulting, advertising, and other constructs of the Western world will be deemed as the “correct” path to success, with “success” defined by Western standards (i.e., profit and Western constructs/ideologies). What is lost in this unabashed bravado, buried just beneath the beloved rhetoric of autonomy, diversity and democracy, is that no foreign outsider possesses the intimate knowledge of both land and culture that is imperative to any so-called success in the competitive field of ecotourism. It is a rare instance when the capitalist encounters something he must possess, but which cannot be purchased. Although the white saviours could now (and still do) bask in the newly appointed cloth of generosity, the reality was (and remains) that the knowledge required to exploit these pristine lands for tourism (i.e., for profit) could not be obtained without the generosity of the Indigenous Peoples of those lands. By framing the foreigners as the saviours, private enterprise would capture rewards of access to land and forests, resources, knowledge and (essentially) free labour – a free-market capitalist’s paradise. NGOs, par excellence, fulfilled their highly financed role of expanding neoliberalism and Western ideologies. The multi-million dollar ecotourism projects (“social experiments”) normalized the hierarchies established under colonialism by obscuring the capitalist agenda behind the rhetoric of “community-based tourism” projects. Concealed was the role of economic processes that shape and mold the boundaries between Nature, the market, corporate power and state. Facilitated by the non-profit industrial complex was the task of privatization and marketing of state-society relations behind the concept of the (neoliberal) conservation mode of production. All roads lead to the commodification of Nature, culture, spirituality, and even fantasy. Even symbolism must be considered symbolic capital. The same USAID document goes one step further, suggesting that NGOs should be given legal recognition “as an important element in the development of sustainable community development as associated with ecotourism.” The fact that elite interests would like to see NGOs granted legal recognition (this means protection) reveals how critical, and understood, NGO involvement actually is for the further expansion of neoliberalism and US foreign policy. Update January 9, 2015: The Rights of Nature FB group now has 1,205 members. The Pachamama Alliance FB page now has 112,460 “likes.” The Rights of Nature Twitter account now has a total of 126 tweets and 118 followers. Update January 9, 2015: The Rights of Nature Twitter account now follows 41 individuals/orgs. The largest of the many indigenous populations who have resided in the Amazon for centuries.